This is one of the oldest continuously-running community theatre in the United States. Founded in 1922 as the Drama League, Little Theatre was incorporated as a non-profit under the new name in 1929. Its first performance was Rudyard Kipling‘s The Elephant’s Child, delivered at what is now Coughlin High School in Wilkes-Barre. Little Theatre purchased its current location, a former movie theatre, in 1956. Following renovations, performances at the new location began in 1957. Organized in 1922, Little Theatre of Wilkes-Barre (known from its inception to 1928 as the Drama League or Club) began its first season in 1923 with the production of Rudyard Kipling’s “The Elephant’s Child”. Directed by Mollie Weston Kent, “The Elephant’s Child” was performed at what is now Coughlin High School in Wilkes-Barre. 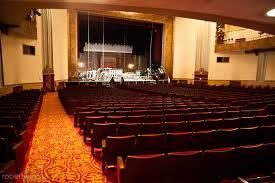 Little Theatre was incorporated as a non-profit, 501(c) 3 Corporation by decree of Judge Valentine on June 17, 1929. Bernard F. Burgunder, Brandon A. Gearhart, Mrs. Fredrick Hillman, Mrs. Simon Long, Todd Rippard, Raijean Breese, Mrs. Franck G. Darte, Annette Evans, Mrs. Hugh Jenkins, Mrs. Ernest G. Smith, Daniel W. Davis and Leonard W. Parkhurst were the members, incorporators, and directors. Since 1923, Little Theatre has reached over two million people, presenting hundreds of productions. During the 20’s and 30’s, “little theatres” proved to be a testing ground for new plays and, talent as well as a place to develop professionalism, foster self-expression, and have fun! Little Theatre of Wilkes-Barre is the 3rd continuously running community theatre in the United States, and is still ranked among the 10 best “little theatre” groups in the land. A charter member of American National Theatre and Academy, Little Theatre has always tried to reach across the nation to touch hands with other theatrical groups, occasionally traveling to perform as well as welcome traveling players finding their way to Wilkes-Barre. Famous actors and actresses have visited and performed on our stage. Little Theatre of Wilkes-Barre, loves show business—and know that this love must be shared to be enjoyed. Little Theatre of Wilkes-Barre made its home at the 537 N. Main Street Playhouse in 1957. The building, an old movie theatre, was purchased in 1956 and renovated for theatrical stage use. In 1972, because of renewed federal and state interest in the fine arts, the Pennsylvania Theatre Association approved the building for production, and remarked on the splendid facilities of the stage and equipment. Our lighting board was a gift from Dorothy Dickson Darte, one of our founders, and was specially built by Fuchs, and expert and author on stage lighting. Annette Evans provided our stage curtains during her lifetime, and the foundation has provided for Little Theatre, one of her favorite “children”, with grants since her death. In addition, many other foundations and grant sources have been very generous over the years. The members of Little Theatre look back with pride at our rich history of performers and productions as we begin our 85th season of excellence, and look forward to many more seasons of quality productions.